20 years experience in residential and commercial properties. At some point in time every Queens homeowner is going to need a plumber. The convenience of plumbing can become a nightmare without proper up-keep. A simple dripping faucet or tiny leak in an ignored pipe can bring devastating and costly results. Of course many Queens homeowners can save some money by handling the small problems themselves such as replacing a gasket under a faucet stem or unclogging a kitchen drain but it’s also important to know when it’s time to call in a professional plumber. While plumbing isn’t necessarily difficult, much of it is beyond the abilities and knowledge of the average homeowner and a botched job can end up costing you way more than if you had called an experienced plumber in the first place. Use care when selecting a Queens plumber to work in your home as with all things, there are good and bad out there. Of course an emergency will limit your ability to be selective. If you wait for a plumbing emergency your first instinct will probably be to call the first plumber you see listed in the yellow pages and seriously if time is of the essence you may have no other choice. That’s why it’s a good idea to establish contact with a good Queens plumber before you actually need one. Of course if you’re planning a new home or a remodeling project, you’ll have the time to shop around for a good Queens plumber Some plumbers may only work in new construction or remodeling projects and many may only work in commercial plumbing, so make certain you find one that can meet your specific needs. If you’re remodeling your home and are fortunate enough to find a Queens plumber that does both residential remodeling and repairs, you’re in luck. You’ll have a plumber that is able to trouble-shoot and repair any problems with ease when he is familiar with your systems. 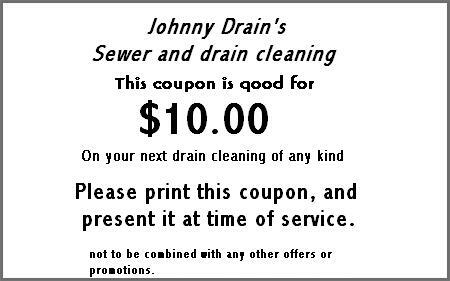 The best method of finding a Queens qualified plumber is to ask family, friends or neighbors for their recommendations. Another good source for tracking down a good plumber can be through local home contractors or real estate agents. These businesses work on a regular basis with plumbers either during new construction, remodeling projects or during the home sale process. They will have information on the best and most reliable Queens plumbers available. Senior citizens 20% Discount . We really understand that in these difficulet times, every emergency requires some level of understanding to the home owners or individuals ability to afford service. We are willing to give some Seniors a 20% discount to help out. Mention this code when calling us.